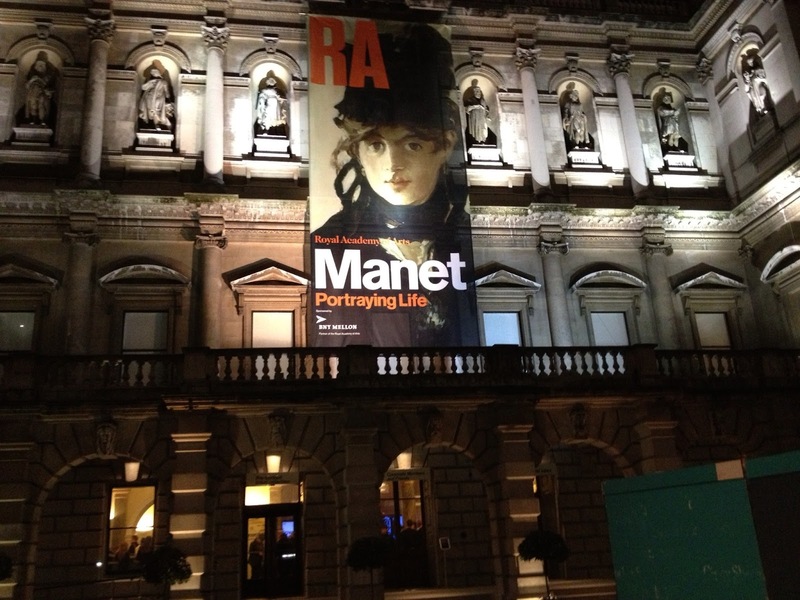 Really enjoyed going to the Manet exhibition at the Royal Academy last week. It seems that he was a controversial figure in mid nineteenth century Paris, and for some time had paintings turned down by the Salon. When it was rather too late and with his powers declining as a result of syphilis, he gained more critical approval. Perhaps as much as any artist he proves the very subjective nature of art appreciation. I wouldn't say he's my favourite artist, but there was much in the exhibition to enjoy-alhthough I have to say I found some of Julian Barnes fanciful comments on the audio guide rather ridiculous and not a little 'smart-alecish'. Ever since studying poetry and art at school I've been sceptical of the confident deductions of the critic. One of my favourite paintings at the exhibition was of Emile Zola, the French novelist. I've had something of a soft spot for Zola ever since a delightfully erudite and elderly patient of mine encouraged me to read some of his novels. 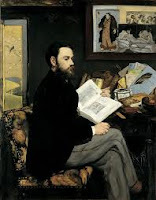 I recall boldly telling my patient that I was reading Zola's Le Debacle, a novel of the Franco-Prussian war of 1870. Without flinching, my patient asked, 'Are you reading it in the French or the English?' Ok I know when I'm beaten.